We now offer a simple disc conversion for your classic GM 1/2 ton 2WD. This setup uses 1995-98 3/4 ton rotors and calipers with our bracket. Brackets are AutoCAD designed and CNC laser cut, then professionally welded. Zinc plating available at no cost but may take longer to ship. Items included are brackets and hardware. 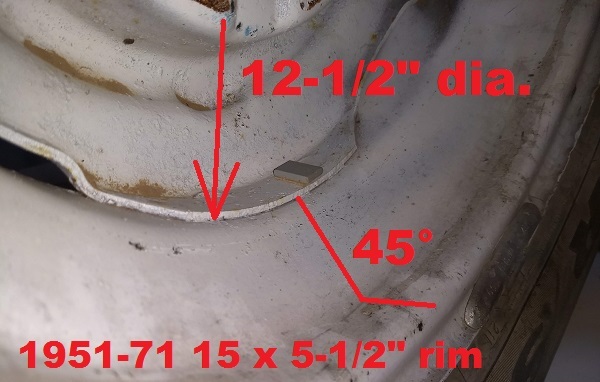 You do not need to remove or change your spindle; stock bolt pattern is maintained, but stock 7/16" stud size will be changed to 1/2" or 12mm stud. We supply the brackets, bearing spacers, attaching hardware. You do not need to remove the spindle; you can do this is the grass with simple hand tools as shown here. This will not lower your truck but keep it at stock height. You can substitute a 1/2 ton rotor and get the 5 on 5" bolt pattern. 4-3/4" not available without machine work. Note: Hollander shows the 15 x 5-1/2" rim running from 1951-71. These will NOT fit! The hoop section of the wheel hits - hard, and it would require a 7/8" spacer to work - we do NOT recommend this as most of the weight would them be over the outer bearing. 1973 and later K series wheels are roughly the same but have a 1/2" offset to clear factory disc - these may clear (we have not tested them).